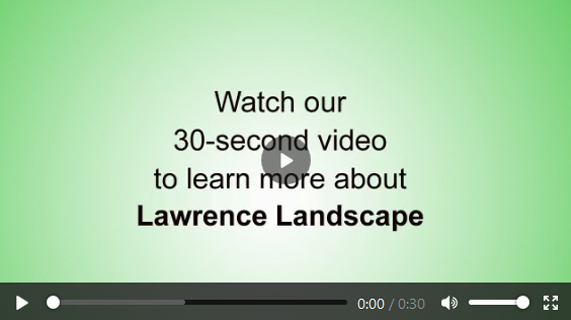 Lawrence Landscape, Inc. provides superior landscape services in the city of Lawrence, Kansas and the surrounding area by using the highest quality products, the latest technology and the best people available in the marketplace today. We are engaged in a process of continuous improvement through research, training and introspection. Some of the many services we provide for residential and commercial properties include Landscape Design, Installation and Maintenance, Sprinkler System Installation and Maintenance, and Swimming Pool Installation and Maintenance. In the early 1980’s, Glenn Westervelt had a vision to create a customer oriented landscape service company that would provide quality service and products at a fair price to the residents of Lawrence and the surrounding areas. In 1987 that vision became a reality when he created Lawrence Landscape. That vision became even more obtainable when Frank Male became a partner later that same year. The business was incorporated in 1988. Today, Lawrence Landscape is the largest and most experienced landscape company in the region. 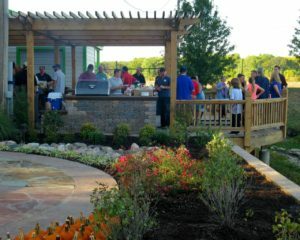 As Lawrence Landscape has grown over the past 30 years, it has generated an entire family of companies to include Midwest Custom Pools (specializing in custom concrete and fiberglass pool construction) and LLI Tree Farm, Inc. (specializing in locally grown plants, and bulk landscape materials). Due to high demand for quality products, a retail center at the tree farm opened to the public in 2011. Because of Glen and Frank’s vision to create a full-service, customer-oriented business, they have attracted numerous individuals to the Lawrence Landscape team who are leaders in the areas of design, construction, maintenance, and plant health and production. Please call Lawrence Landscape to discover how we can bring this history and experience to your project.